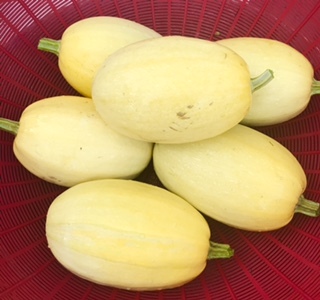 1 spaghetti squash grown and picked by us on our farm in Ridgeway, Illinois. Great cut in half and roasted. Once roasted just scrape the flesh with a fork and the squash will pull away in strands. Lovely as a pasta substitute.